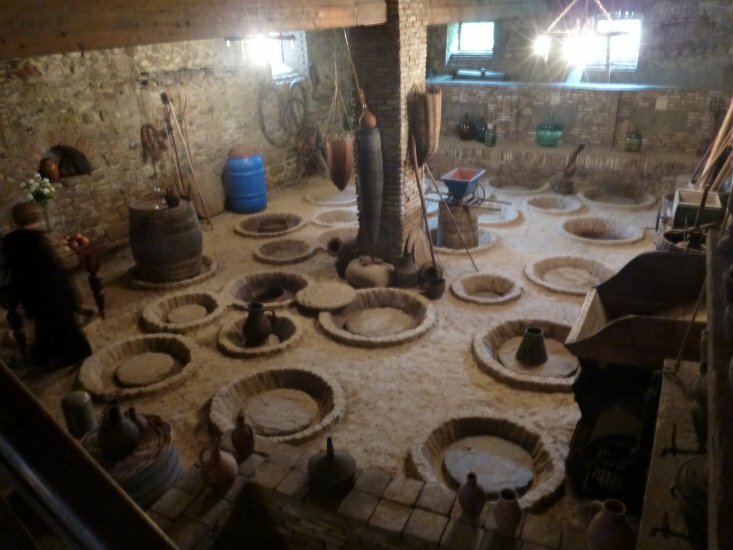 Georgia is not only the country with the earliest record of winemaking, moreover it is home to unique wine-making traditions and techniques as well as of grape-varieties unknown in the rest of the world. 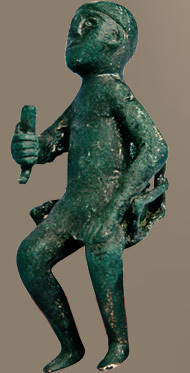 According to Greek mythology, Jason and the Argonauts ventured into Georgia on their quest for the Golden Fleece but found wine first. 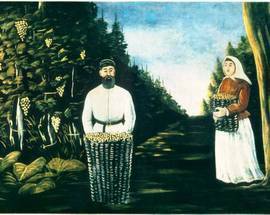 As it is written, they were stunned by the sight of grapevines on the occasion of their arrival in Colchis. At the kings palace, they even discovered a well, which was flowing over with wine. It´s a small wonder, they kept on searching for the Fleece, instead of just enjoying what they already had discovered. It is widely acknowledged, that the ancient Greek civilization introduced cultivation of grapes and the knowledge of winemaking to the Mediterranean region. 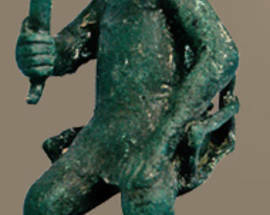 But as the myth of Jason and the Argonauts suggests, the source of the Greek knowledge might lay in the Caucasian region, Georgia could actually be the cradle of winemaking. 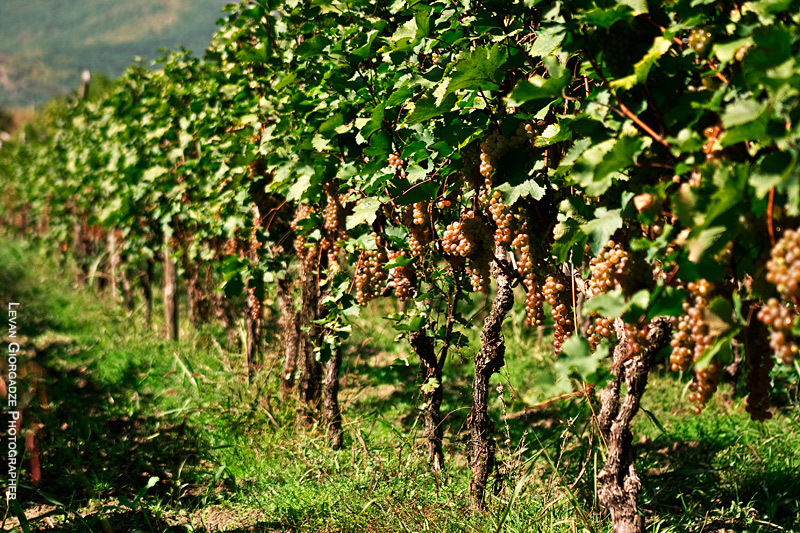 Cradle or not, Georgia is home to one of the oldest winemaking traditions known to mankind. Tools, grape pits and amphorae (Qvevris)have been excavated in the valley of Alazani (Kakheti), which date back more than 4000 years. Close to the city of Vani, grape pips were found, which derive from the variety of Rkatsiteli, which is still largely cultivated today. All of this shows Georgia to be the country with the earliest proof of cultivation of Vitis Vinifera, the common grape vine. 1. When making white wines, usually skins and juice are separated first, then the juice is fermented, resulting in a crisp, fresh, fruity wine. In Georgia however many white wines (though not the major part) are fermented with the skins. As the skins hold extra flavours and the so-called tannins (astringent and bitter plant polyphenolic compound), the wine gets richer, more structured, deeper in colour and can ripen longer. 2. 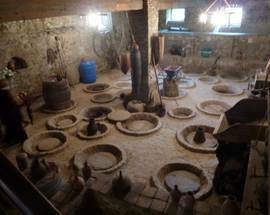 Fermentation and ripening is traditionally processed in amphora of clay, which are dug in the ground. This can be compared to the western European method of using wooden barrels (barriques) for ripening, but the result is different. Such Georgian Qvevri-wines have an earthy taste to them, complimenting the tannic structure and the fruitiness into an utmost unusual compound of flavours. (Check out the Qvevri - Wine of Tbilvino, it is inexpensive and really well done. On sale at Smart Supermarket). 3. If the before mentioned methods don´t suit your taste, maybe the Georgian semi-dry and semi-sweet wines will. There is a huge variety of white and red wines, so you have to go out there and try them to discover what you like best. Decent sweet wines are produced by not allowing the fermentation-process to fully convert the sugar of the grapes into alcohol. Of course there are many examples where the wine has been additionally sweetened after fermentation. Those are easy to spot. First of all, your palate will tell you, because the additional sugar sort of covers the fruitiness and structure of the wine, it will not taste refreshing, but will tire your palate. Secondly, your head will tell you, because of the hangover next morning. So it’s better spend two or three Lari more to be sure of quality. 1. Rkatsiteli is the most widely planted white grape. If you are into light and fruity wines, try the European style Tsinandali, which is a blend containing 85% Rkatsiteli, 15% Mtsvane. These wines are said to have a distinctive taste of green apples and great freshness. 2. Mtsvane is a late-ripening white grape, for which yield must be limited in order to ensure quality. It is often blended with Rkatsiteli, as it adds fruitiness. 3. Saperavi is the most widely planted red grape of Georgia. If it says “Saperavi” on a bottle, in most cases it will be a dry but fruity wine. Go for it, even if you think you don´t like dry ones! Kindzmarauli wines are made from Saperavi as well, but as the grapes ripen longer, the wine is usually dense, more complex and semi-sweet. Don´t get confused by what’s written on the bottle. 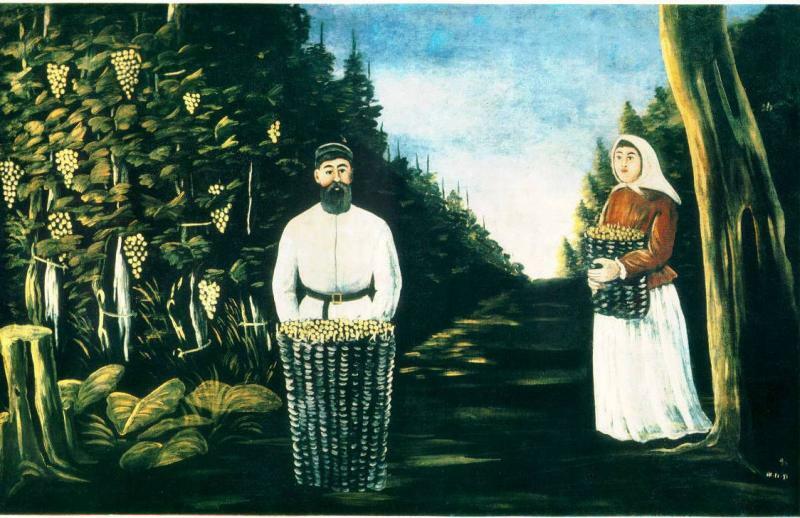 Like France, many of the Georgian wines are named after the village, the vineyard or region where they originate. 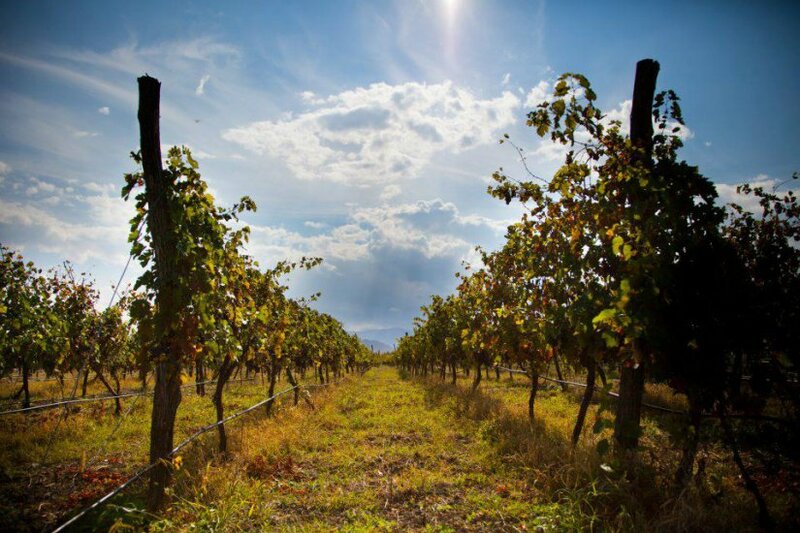 For example, Kindzmarauli is a small appellation on the slopes of the Caucasus in Kakheti: Saperavi is the Grape, Kindzmarauli the location and Kakheti the region. The four main regions in order of importance are Kakheti (south-east), Kartli (central-east), Imereti (west-central) and Ratcha-Lechkhumi/Lower Swaneti (north-west). 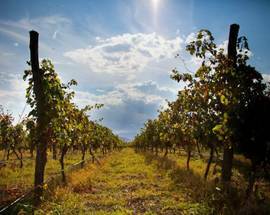 Undoubtedly, Kakheti is the very heartland of Georgian wine, producing the biggest quantity. Within those regions you find smaller appellations such as the above mentioned Kindzmarauli or Tsinandali. 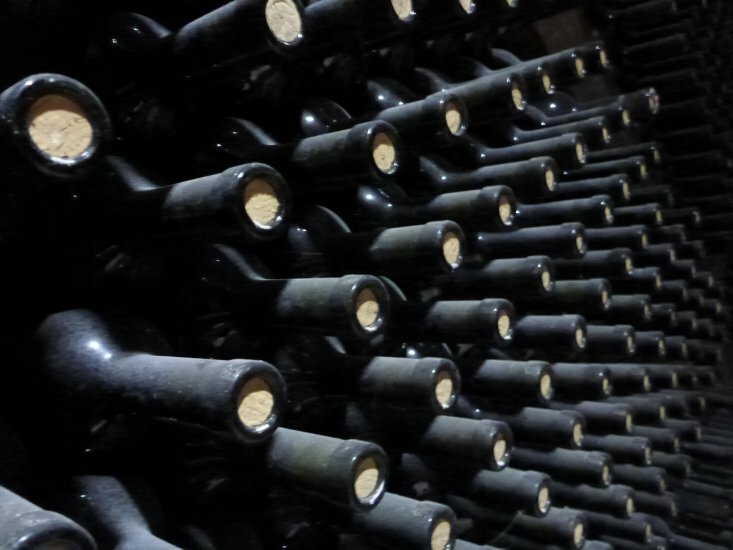 Such an appellation is usually subject to geographic limitation, certain standards of quality or specific blending of wines. 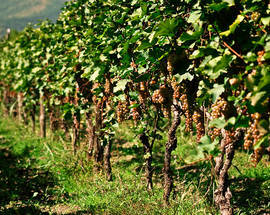 Because of its sheer beauty, we would recommend to visit Kakheti for a wine tour or a tasting. 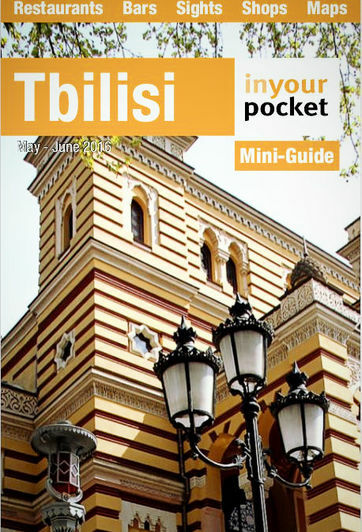 You can go there for a day-trip from Tbilisi or choose to stay overnight in Sighnaghi, with its stunning views of the Caucasus mountain range. Many wine tastings are offered in the region; some of them more, others less professional. You can catch a marshrutka, head there and just see what you find, but in order to spot the really interesting locations it might be advisable to join a guided tour. 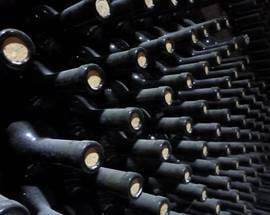 Why-Not-Hostel in Tbilisi is offering a day trip to no less than four different Kakhetian wineries, giving a comprehensive insight into Georgian wine-making. Leave the beers aside for a while, head into the wine-regions of gorgeous Georgia and learn more about tastes, Georgian hospitality and the traditions of the Tamada.